Temperament – Can be shy at times but friendly, but very playful and active. 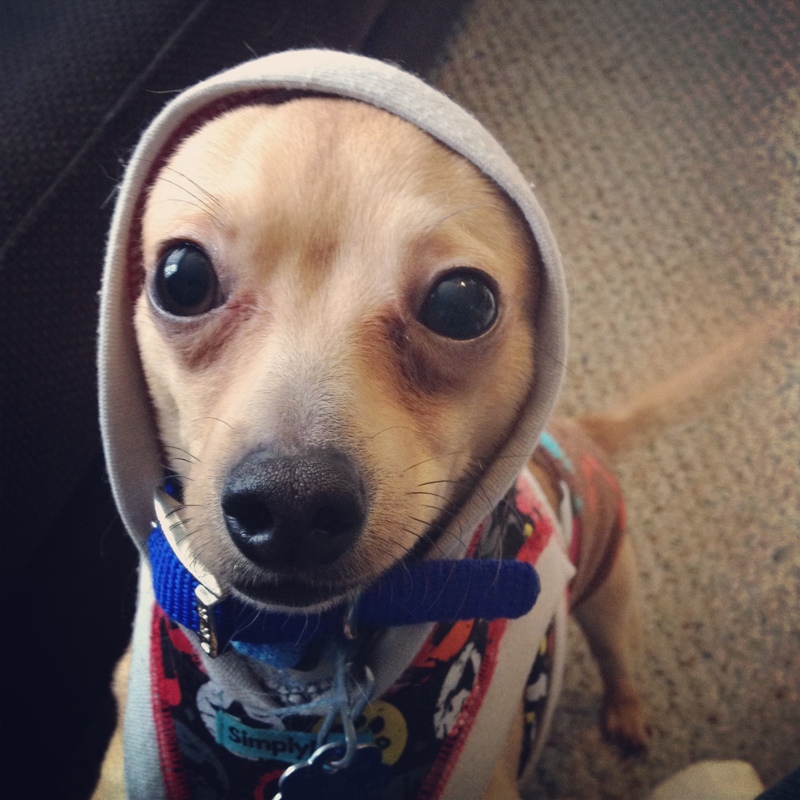 Meet sweet little Tyco Brown, the small Chihuahua mix with a ton of spice! 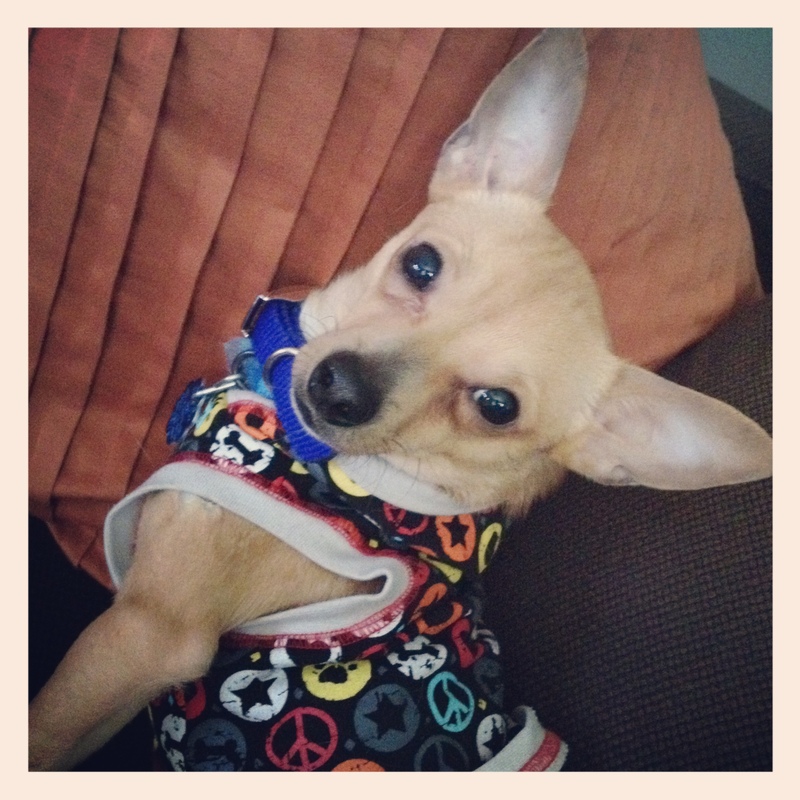 Ty is one adorable little man, with his tiny stature and big ears! He was found as a stray before coming into the shelter and was pretty much scared of everything. But he has made an amazing transformation during his time in foster and has learned that the planet isn’t such a scary place after all. Tyco is very sweet and gentle and loves to follow his people around the house just to be close to them. He enjoys exploring outside on warm days, playing fetch, or just lounging in the sun! He gets along well with other small dogs, and really loves being part of the pack. He would do best in a home with another active buddy or two that he can romp around with. Once he’s all worn out from playing with his friends, he will seek out a cozy lap to curl up on. He is working on house training and basic obedience and should continue with learning in his new home. Ty is a smart dog and willing to please, so he makes an excellent student! He isn’t very comfortable around small children and therefore shouldn’t be adopted into a home with any kids under 10. Tyco would love to find his forever home soon with a family that is dedicated to helping him become the brave man he was born to be! Gobbling up breakfast & dinner! Interested in adopting? Please view our FAQ for info about the adoption process. Please check out Tyco Brown’s PAGE for updates and news!